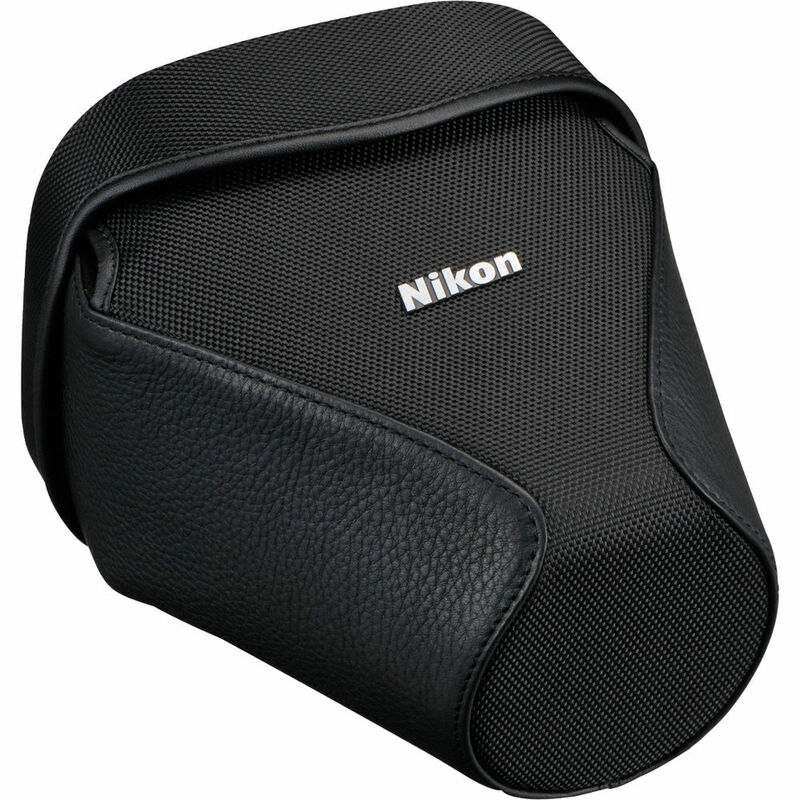 The black CF-DC5 Semi-Soft Case for the D600 Camera from Nikon holds your Nikon with an attached 24-85mm f/3.5-4.5G VR lens. The case is made from durable nylon and features synthetic leather side panels. Box Dimensions (LxWxH) 7.4 x 7.0 x 6.0"
CF-DC5 Semi-Soft Case for the D600 Camera (Black) is rated 4.7 out of 5 by 6. Rated 4 out of 5 by Old Traveller from Just what was needed Protecting my cameras whilst visiting smallholder farms is very important. This well made and relatively inexpensive case is a sensible investment. Rated 5 out of 5 by Jim from D600 Case Does as should, covers kit lens and less nicely. I use regularly rather than schlepping a larger bag. Good quality as you would expect. Rated 5 out of 5 by Eugene from Premium quality cover for Nikon DF This cover was intended for the Nikon D600 back then but it perfectly fits the Nikon DF. Compared to the OEM Nikon DF carrying case/cover, this is cheaper in price yet the quality is premium as well. Rated 4 out of 5 by Randy from Nikon Soft Case for D600 Camera The soft case fits the Nikon D750 perfectly but not with the lens hood attached in reverse direction on lens. Rated 5 out of 5 by Rodney from Perfect Fit: D750 w/24-85 VR This is an ideal soft case for a travel set-up; or, walk around set-up, using the D750 DSLR. I have a Nikon D5300 with a an 18-140 lens. Do you have camera case that would fit. Does it fit the D610 with AF-S Nikkor 24-70mm 1:2.8G ED? No, the case is too small. It will fit the D610 with a smaller lens. The lens it is made for is a 24-85mm and that is about two inches smaller than the 70-24mm lens. Will the Nikon D750 with the 24-120 lens fit in this case? Absolutely... like it was made for it.